As noted in my last post, I came across two commands I had no idea natively existed in Windows. The previous one is waitfor. This command is timeout. WOW. This would have been nice to have known previous for many of my batch scripts instead of hacking up for loops to simulate a wait timeout. Argh! accepts a parameter to ignore the key press. /T        timeout       Specifies the number of seconds to wait. Valid range is -1 to 99999 seconds. I recently discovered a command I didn’t know about (actually 2 commands). I never knew about waitfor command! Man, this would have been useful in some of my remote package pushing scripts. I guess this has been around since Server 2003 days. /S     system         Specifies remote system to send signal to. /P     [password]     Specifies the password for the given user context. is 1 - 99999. Default is to wait forever for signal. signal                The name of the signal to wait for or to send. NOTE: A system can wait for multiple unique signal names. characters in the range 128-255. Just a quick tip/note on changing the DNS server(s) for a network adapter in Windows from the command line. To do this, you need elevated privileges on a command line (or you can use ‘runas’ from a non-elevated command line and provide administrative credentials). Had more than a handful of domains I needed to add TXT record for in Windows DNS (2003). I did it using dnscmd from 2003 Toolkit and command line. 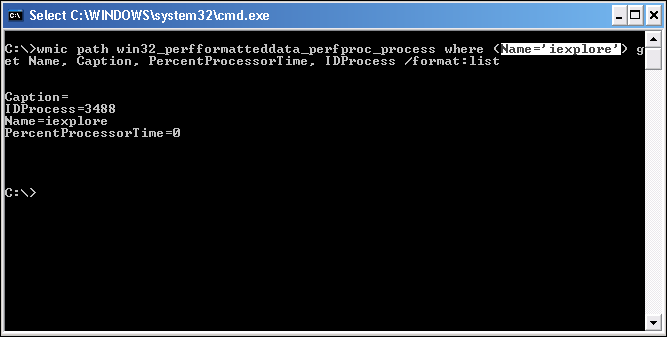 After I have a zones.txt file, I then loop through it to add the TXT record. I found this batch script/command on ServerFault *I think*. Very cool little one-liner trick. Description: Displays the location of files that match the search pattern. By default, the search is done along the current directory and in the paths specified by the PATH environment variable. “where” exists in Windows Server 2003 but I also have it natively on Windows Vista and 7. Not sure which other Windows releases it is included in. 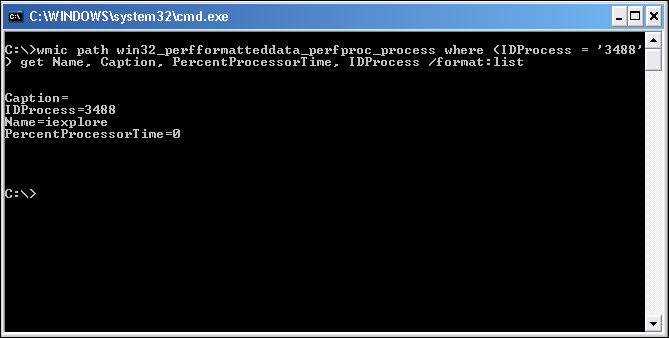 First of all, there are a few tools that I’ve used in the past to show me files that certain processes have opened up. 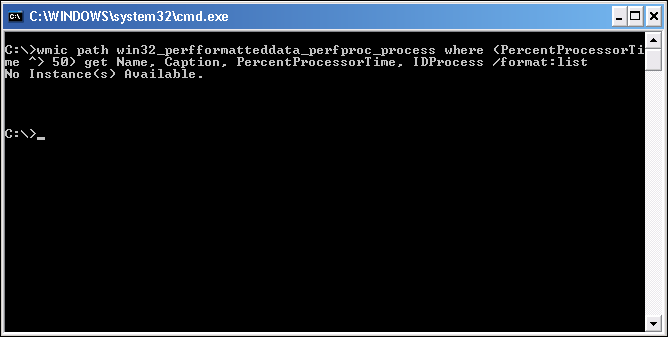 One such tool is Process Monitor by SysInternals. Windows XP Professional comes with a command-line tool called openfiles. Enables an administrator to list or disconnect files and folders that have been opened on a system. You can learn more about it by issuing openfiles /? and openfiles /disconnect /? For now, I’m still a fan of Process Monitor but this is nice when I’m in a hurry and for some reason don’t have my flash drive that has Process Monitor on it. 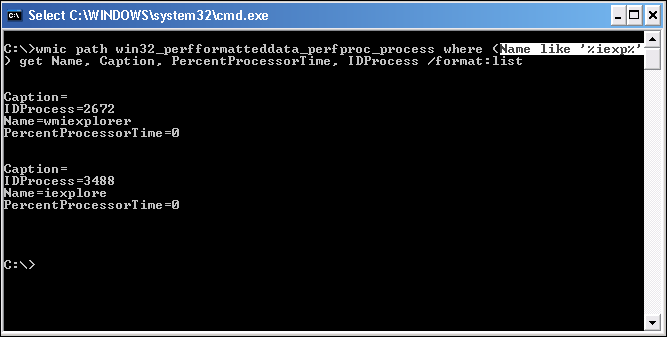 printout filename	- Misys print command alias. After typing this command, the system prompts to select a printer.